When you travel to any country, what would you do? Probably you would want to bring backs some photos or souvenirs to save your memories and share them with your friend and family, right? That is the reason why you should go to the market where you can find everything! When you visit Saigon, if you don’t know which the market you should go to, here are some suggestions for you. 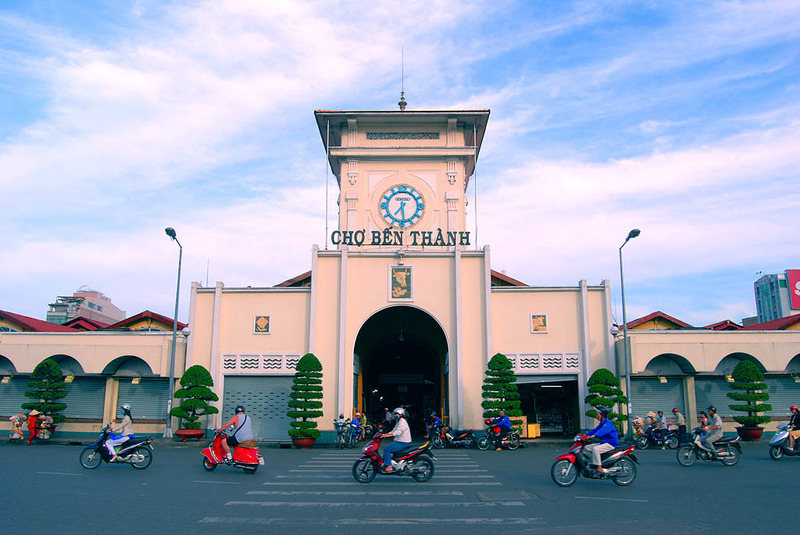 Listed in the list of typical locations of the city, Ben Thanh Market is always an interesting shopping stop for those who have the opportunity to set foot in Saigon, and one of the oldest markets here. Operating from 1914 up to now, this 100-year-old market is not only a busy place but also a witness of the changing history, ups and downs of the city and the old Saigon. This place is focused on many items, from clothes, thick sandals, fabrics, handicrafts, brocade, jewelry, and special foods. With traditional values, long life, the market attracted a lot of foreign tourists to visit and shopping. Here you will find all languages to trade. At night, around Ben Thanh market gathered into a crowded night market, creating a vibrant and colorful Saigon. The market at the west gate of the city is always one of the destinations marked in the tourist map of many visitors. Operating from 1930 to present, the market is built with the style of East Asia. The corners of the roof winding in the style of Oriental pagodas, roofed with yin-yang tiles. The special spot of the market is in the middle of a large courtyard sky creating cool space and use natural light in a harmonious way. 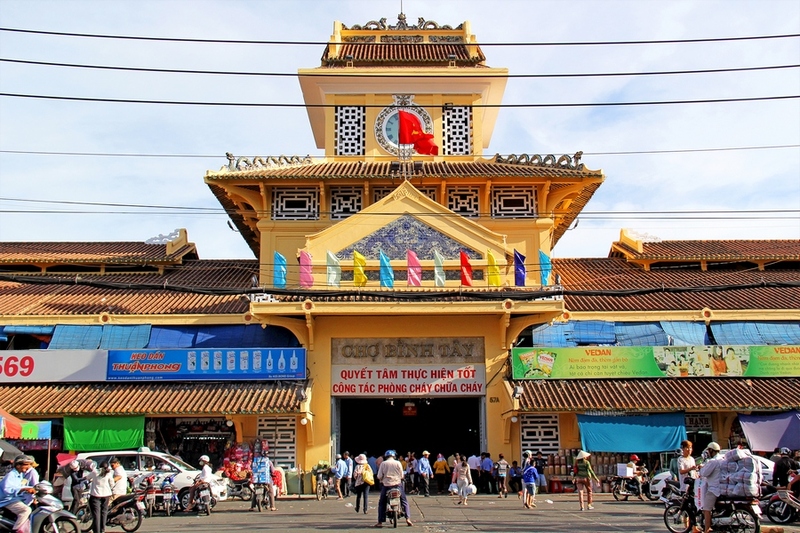 In addition to the special features of architecture, Binh Tay Market is also the busiest center of Saigon with many kinds of items. This place attracts the majority of people buy and sell professional because most of the goods are wholesalers and moved to the southwestern provinces. If you intend to shop for household appliances, electronics on the occasion of Saigon visit Binh Tay market is where you should go, because the seller is always a friendly welcome and affordable price. 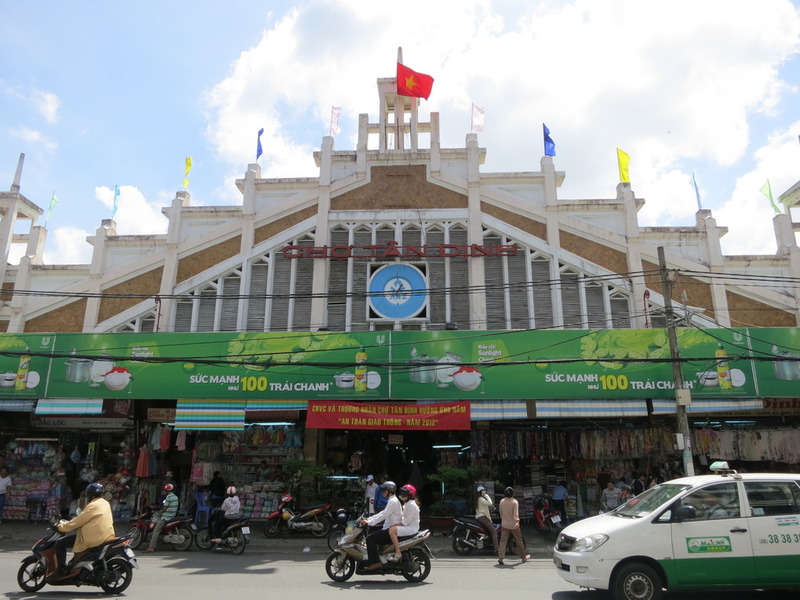 The historic market of this city is always the famous and familiar destination of many Saigon people. Built in 1926, the main gate of the market is designed quite nicely. This place is famous for the cloth and food. Food stalls at this market are always appreciated by diversified, delicious and attractive dishes such as rice noodles, crab soup, fruit dish and especially chicken sticky rice. Especially if you need to buy cheap fabrics, Tan Dinh is always the choice of many families and tourists. Being one of the central markets of the city, An Dong market is filled with the sympathy of the elderly people who once attached to Saigon. With over 56 years of existence, An Dong Market contributes greatly to the circulation of goods in the central area of Saigon. If you need to buy the latest fashion items, the An Dong market is the most suitable, because many people evaluate the fastest update of fashion items such as clothing, shoes, fabrics … In addition to wholesale selling, the upper floor of the market also has hotels and banks which is very convenient for tourists to rest, exchange money while shopping. For more information about Saigon Free Day Tours, please visit our website. If you have any questions, feel free to contact us. Share this article if it’s useful for you. Have a nice trip!